I have opened a Square account. 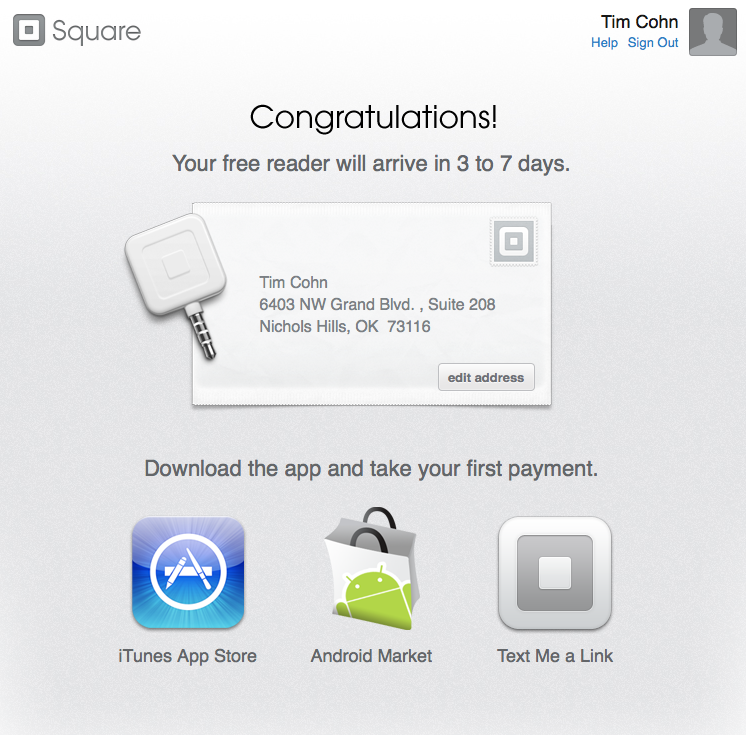 Square let’s merchants and others accept credit card payments via their smartphone. I expect to receive my credit card reader in a couple of days. I then plan to help my daughter sell her Brownies’ products. This entry was posted on February 24, 2011 at 5:51 pm and is filed under Opened A Square Account. You can follow any responses to this entry through the RSS 2.0 feed. You can leave a response, or trackback from your own site.